The old man who cut Fox's hair the other week was straight out of a movie! Had to be documented. And also that Fox can tolerate getting his hair cut. He used to go straight into exorcism mode when we brought out the clippers for at-home haircuts... So glad that phase is over! DESCRIPTION: I've only used the circle sentiment paper from Fancy Free one other time that I can recall so I wanted to use it once more on a layout about Fox - pink and all! JOURNALING SAYS: Getting your hair cut is not your favorite thing in the wold but lately you've been better about it! HOW TO: Loosely paint a ring with white acrylic paint onto the B side of Paper 12. Splash coordinating watercolors over the ring and let it dry. 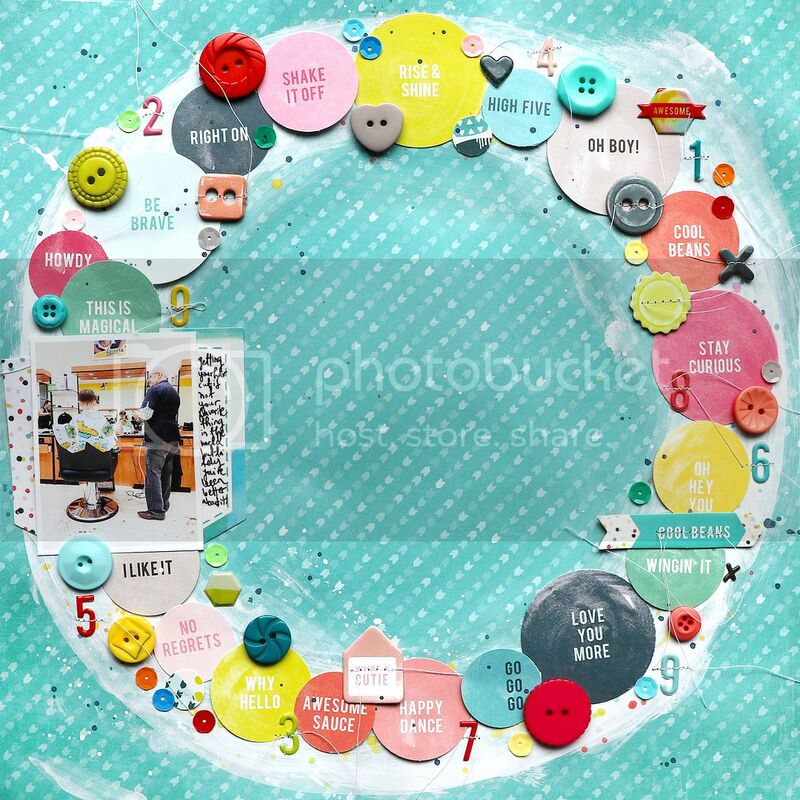 Use different sized circles to punch out the sentiment circles from Paper 03 then place them around the ring. 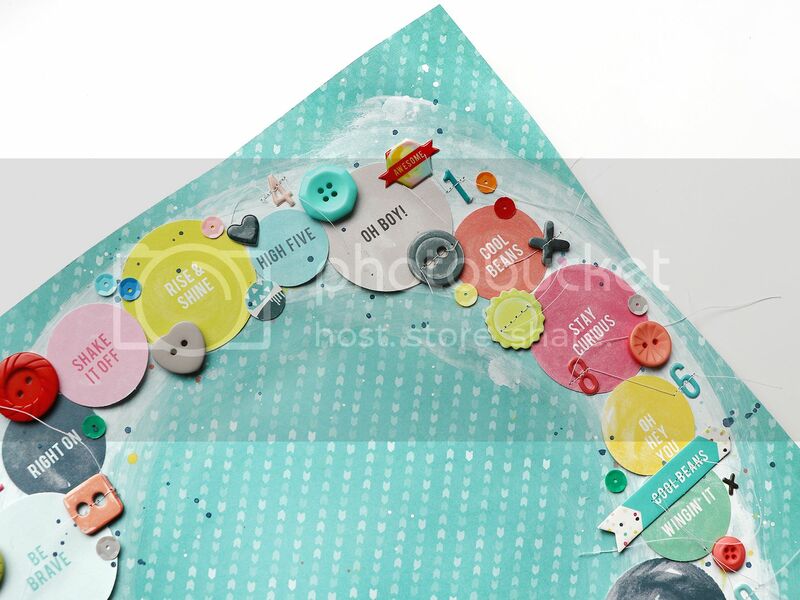 Add a photo to the ring and tuck under a journaling spot and polka dot die cut. Adhere buttons, puffy stickers, sequins, and chipboard stickers all around the ring. 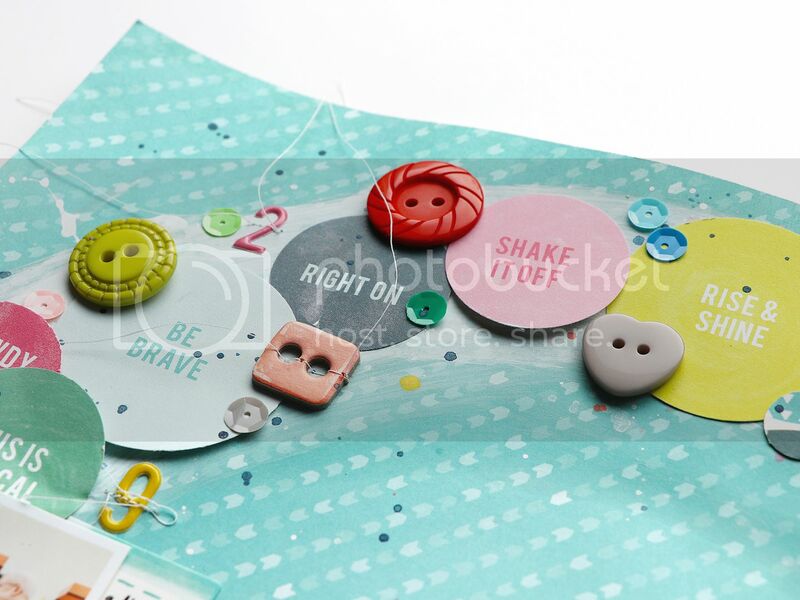 Use a sewing machine to stitch over the puffy and chipboard stickers. It's been fun to go back and use Fancy Free! Love love love this! LOVING all those circles!!!!!!!!! !